THERE ARE TONS of good photographs out there of our historic Dodd Building. But almost all of them are of the outside. I'm more interested in the interior. Surely there are people around who either worked or did stuff in this building back in the day. The third floor contained Bedford Dance Studio. Anybody have photos of the studio itself? There have been doctors, lawyers, florists, jewelers, all kinds of businesses. I've seen a photo of a law office on the fourth floor, but it's impossible to tell the room. 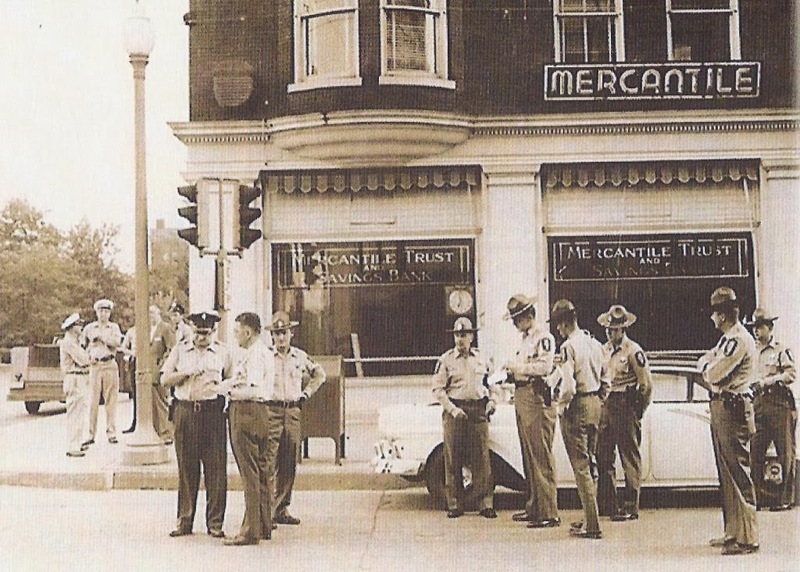 Mercantile Bank at 33rd and Maine has some interesting photos of the main floor, but it's still not quite enough to tell exactly what it looked like inside. How about the old birdcage elevator? A picture with one of the operators - it was manually operated - would be way cool. If you have some photos or know of somebody who might, please let us know at Second String Music. Thanks! 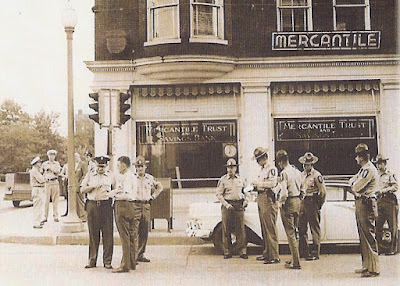 Law enforcement helped move Mercantile in the early 1960s.